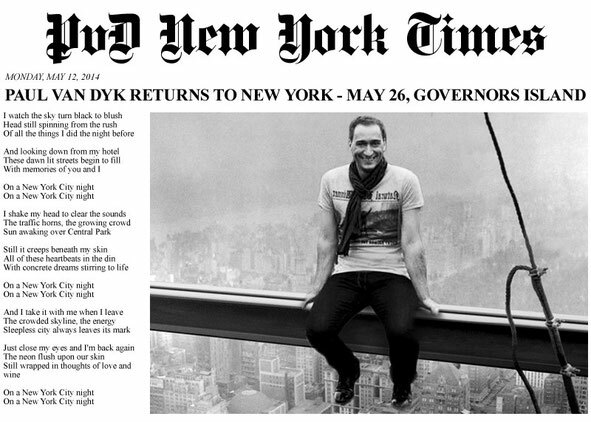 Germany's Grammy-nominated artist, DJ and producer, Paul van Dyk has been ranked the world’s No. 1 DJ by DJ Magazine’s Top 100 DJs’ poll twice, a status that only a few DJs have ever achieved. This Memorial Day weekend, he hits New York City for a show at Governors Beach Club at Governors Island in New York City on Monday 26 May. 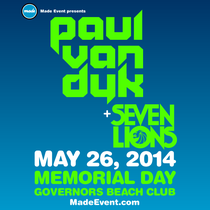 The Memorial Day date also coincides with the release of the Las Salinas remix of PvD’s track, ‘Crush’ on his Vandit record label. Ten years since it first hit club floors, the track - a much-treasured lead track from his Grammy-Award nominated ‘Reflections’ album - has never had an official remix sanctioned… until now. Las Salinas’ remix begins in prog-trance zones with deep, thunderous and resonant tones and Antoine Toupin’s lovely vocals.